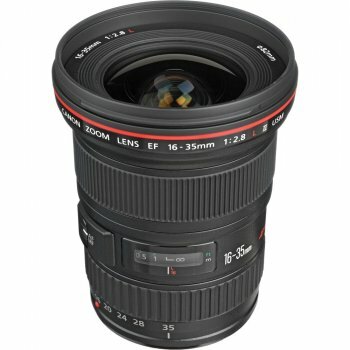 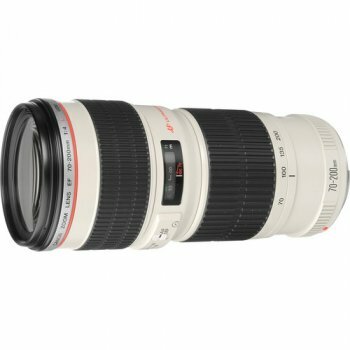 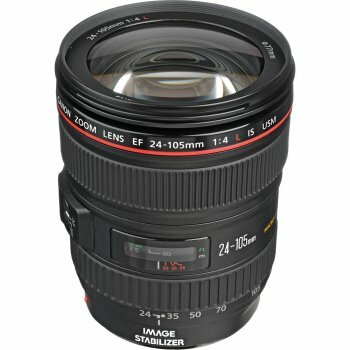 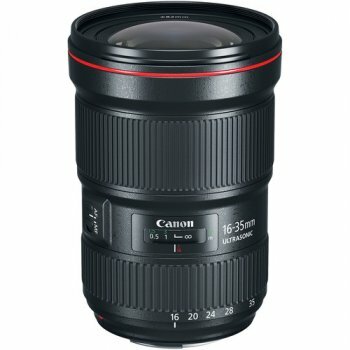 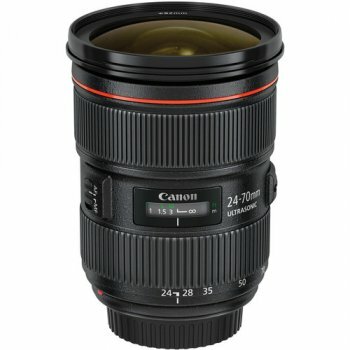 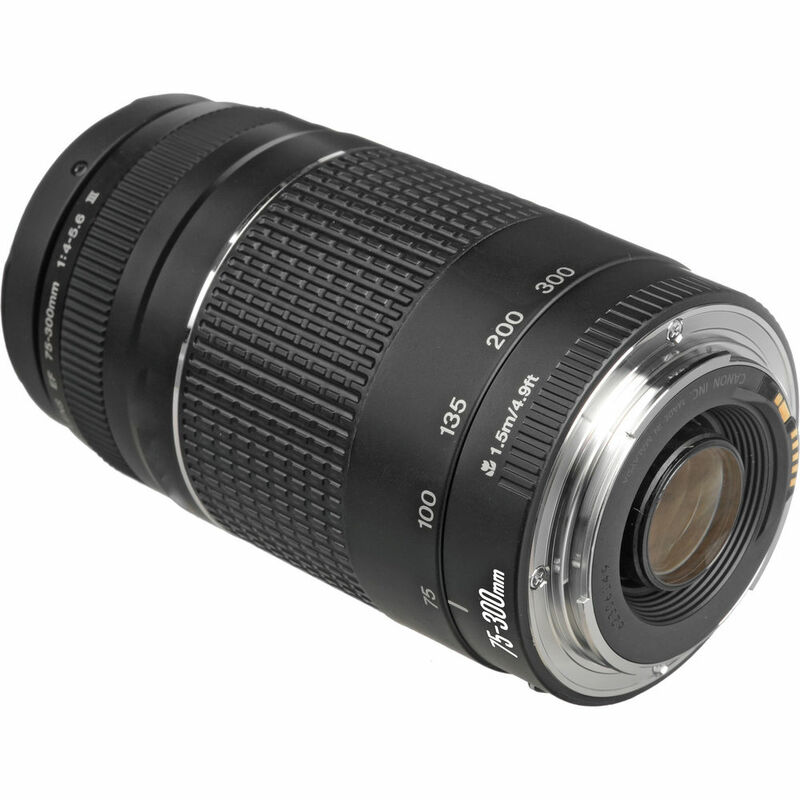 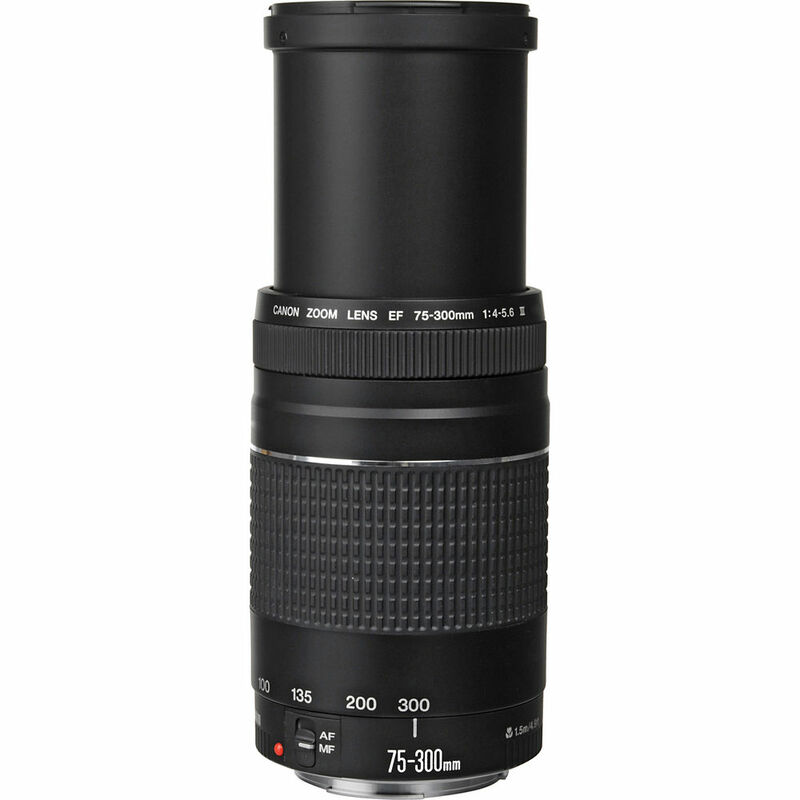 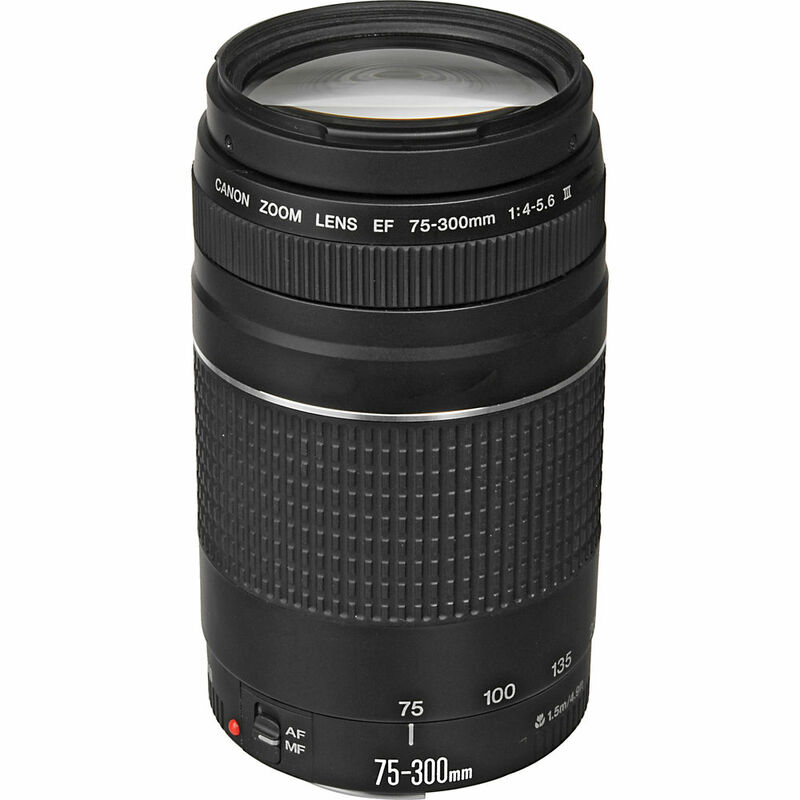 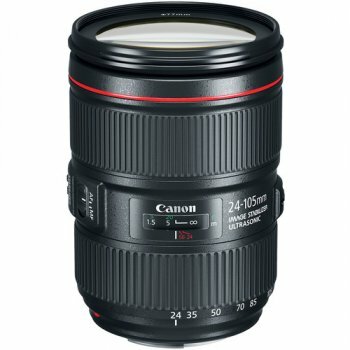 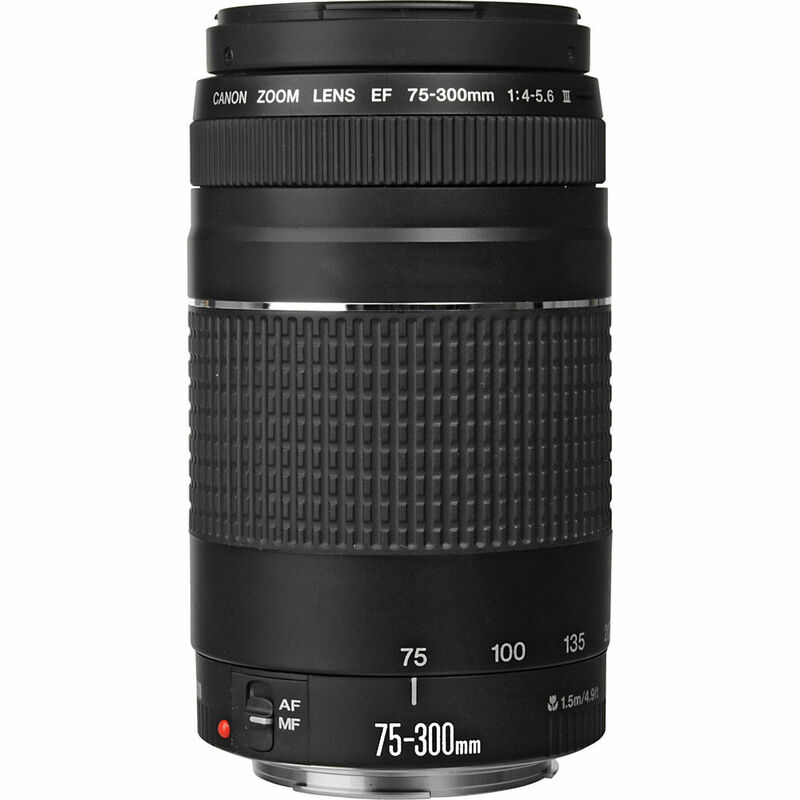 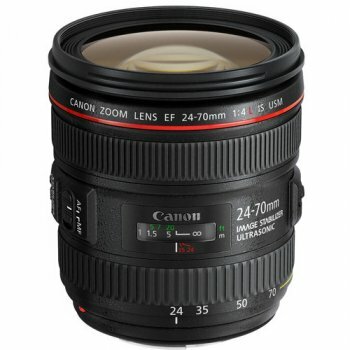 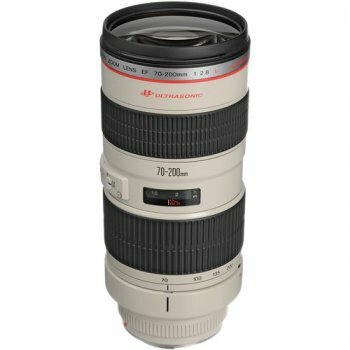 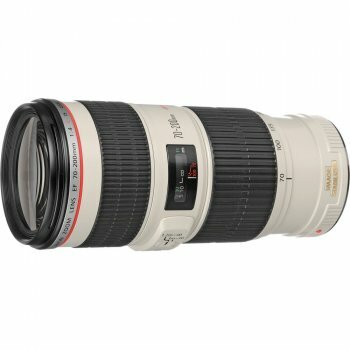 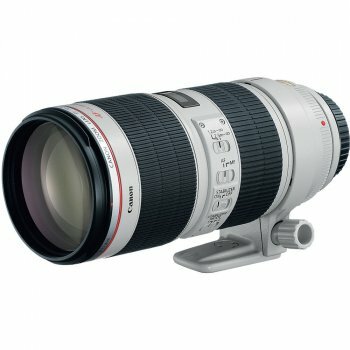 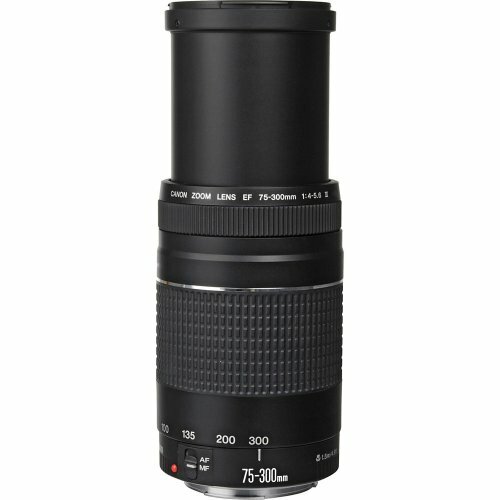 The EF 75-300mm f/4-5.6 III Lens from Canon is a telephoto zoom lens ideal for day-to-day use because it is particularly light and compact, especially given its long focal reach. 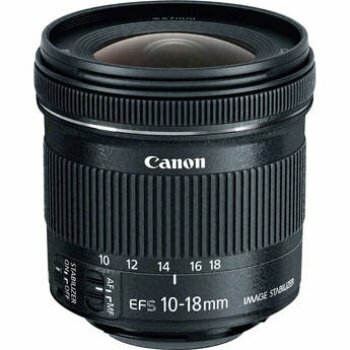 Able to magnify distant subjects, it also compresses the space between subjects within the frame and with a shallow depth of field at its longer lengths, it offers attractive out of focus bokeh. 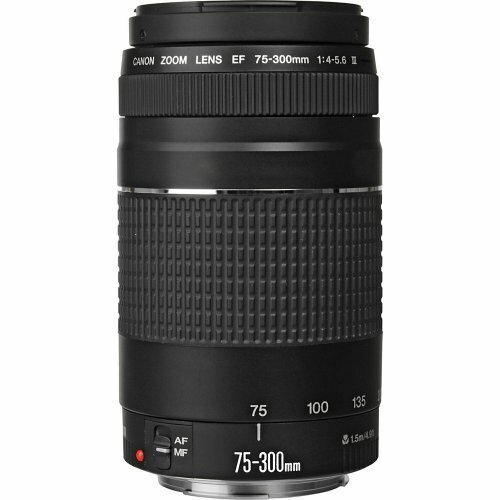 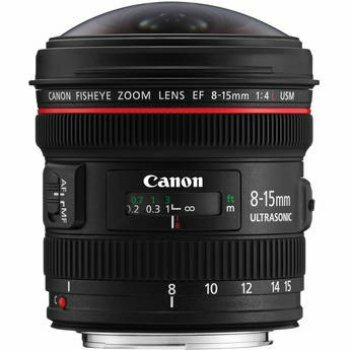 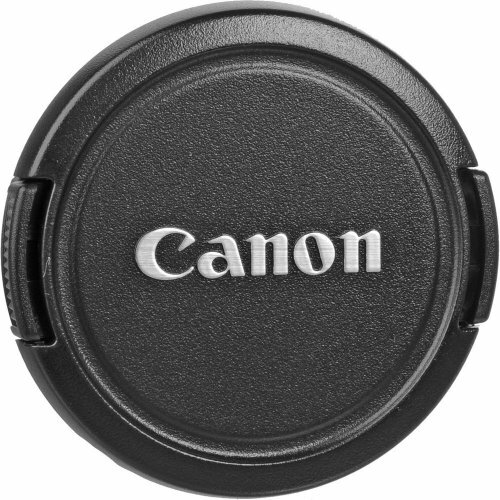 Its minimum focus distance is 4.9′, even at the telephoto end of its zoom.